8,000 BC: The Chinese use hemp to make rope, paper, clothing, and medicines. 300 BC: Hemp is introduced to Japan and Korea. 600: The cultivation of hemp spreads throughout Europe. Frankish tribes, Vikings, and Germans make rope and clothing from it. 1500s: European traders and explorers rely on hemp rope and canvas for their sailing ships. 1600s-1800s: Hemp is grown throughout the North American colonies, and is used to produce fabric, rope, and paper. In some colonies, it is mandatory for farmers to grown hemp; U.S. founding fathers George Washington and Thomas Jefferson plant hemp on their land. 1853: During the California Gold Rush, Bavarian immigrant Levi Strauss moves to San Francisco and creates a new style of tough work pants for miners. They are made from hemp cloth. 1910: Large numbers of Mexican immigrants begin coming into the United States, and they introduce the recreational use of psychoactive strains of cannabis. 1914-1933: In an effort to reduce the recreational use of cannabis, 33 U.S. states pass laws restricting the cannabis plant. 1936: The notorious film, “Reefer Madness,” contributes to anti-cannabis sentiment in the United States with its depiction of marijuana pushing teens into violence and insanity. 1937: The Marihuana Tax Act imposes strict limitations on the cultivation and sale of all cannabis plants, greatly reducing hemp cultivation in the United States by making it difficult for farmers to legally grow this plant. 1938: A Popular Mechanics article insists that hemp has enormous potential as an agricultural crop and could provide thousands of jobs for American workers, and earn farmers hundreds of millions of dollars every year. 1941: Henry Ford creates a car constructed of plastic panels made from hemp and other materials. 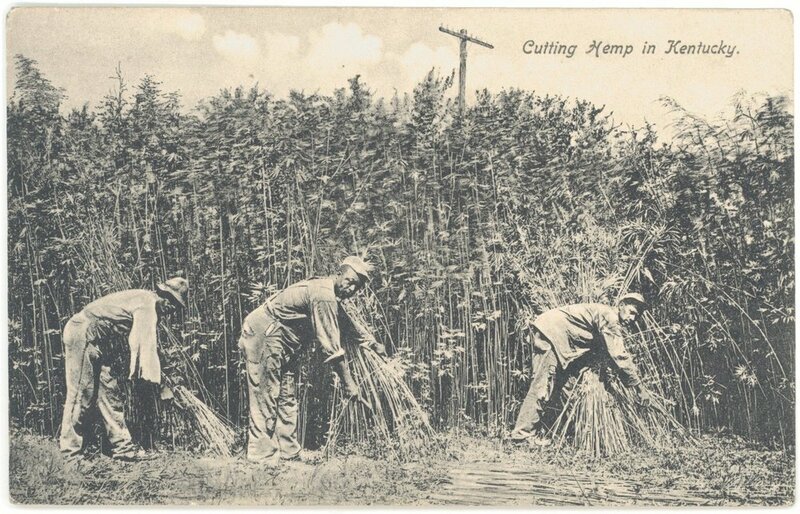 1942: During World War II, U.S. hemp imports are cut off, making it difficult to produce needed items like rope and uniforms, so the government temporarily reverses its anti-hemp stance. The short film, “Hemp for Victory,” encourages U.S. farmers to cultivate hemp. 1945: The war ends, and U.S. hemp restrictions resume. 1970: The federal government passes the Controlled Substances Act, which classifies cannabis as a Schedule I drug and makes it illegal to grow without a permit from the DEA. The DEA defines a Schedule I drug as a substance that has a high potential for abuse and no currently accepted medical use. 1998: Following a 60-year ban, Canada issues the first license to allow farmers to grow hemp for commercial purposes. 2004: After the U.S. Drug Enforcement Administration attempts to block industrial hemp imports to the United States, the Ninth Circuit Court of Appeals rules that it does not have the authority to do so. 2005: U.S. hemp imports total $5.7 million. 2014: The Agricultural Act of 2014 establishes certain limited conditions under which hemp can legally be grown for research by universities and state departments of agriculture. 2015: U.S. hemp imports reach a record high of $78.1 million. 2017: U.S. hemp cultivation doubles between 2016 and 2017. In 2017, Colorado is the biggest grower, with 9,700 acres. The U.S. total is almost 26,000 acres; At least 15 U.S. states enact legislation related to industrial hemp; Sales of hemp-based products are estimated to be $820 million. 2018: According to a U.S. government report, more than 25,000 different hemp products exist; A total of 40 U.S. states have removed barriers to the production of industrial hemp; The Hemp Farming Act of 2018 is passed. This legislation removed hemp from the Controlled Substances Act (de-classifying it as a Schedule 1 drug), and allow states to regulate hemp farming and treat it as the agricultural commodity it was always meant to be. To read more on the history of hemp check out our print issue here. John W. Roulac, Hemp Horizons: The Comeback of the World’s Most Promising Plant. White River Junction, VT: Chelsea Green Publishing, 1997, pp. 28-29. Bill Laws, Fifty Plants that Changed the Course of History. Buffalo, NY: Firefly Books, p. 36.